Kiwi fruits are delicious. Most people agree that they taste like a combination of strawberries, bananas and melons. They are unique looking too. I love how their bright green flesh and tiny, black edible seeds contrast with their fuzzy brown skins. But what should be done for a kiwi plant not flowering? If there are no flowers, there will be no fruit on your kiwi vine. Read on to learn more. Kiwi fruits grow on vigorous vines that require a strong support structure. You can grow them on a sturdy arbor, trellis or fence. Each vine can grow 15 feet long. Most kiwi plants are specifically male or female. You need both to produce fruit. One male plant can fertilize up to eight female plants. There are many cultivars. Some are self-fertile cultivars. In that case, you only need one plant, which saves space. Check with your local nursery and see if they can order the cultivar(s) you prefer. But, of course, in order to get fruit, you must have a blooming kiwi vine. So when do kiwis flower? They bloom in spring and bear fruit in summer or fall. If your kiwi is not blooming, you need to find out why. Age – If your kiwi is not blooming, it could be due to a number of reasons. Kiwi plants must reach a certain maturity before they are able to produce flowers and fruit. Typically, this takes three years. Sometimes it takes longer. Temperature – Kiwis, like many other fruiting plants, require a certain number of winter chill hours (between 32 F. and 45 F. or 0 C. and 7 C.) to set flowers and fruit. The number of hours depends on the cultivar. Make sure you purchase kiwi vines that are appropriate to your climate. Check with your local nursery before you buy. Note that temperatures above 60 F. (15 C.) subtract from total chill hours. Winter heat waves can lower the cumulative number of chill hours below the threshold needed for kiwis to flower. Poor location – If your kiwi vines are mature and receive enough chill hours, you are probably still wondering how to get kiwi plants to bloom. Make sure you install them in the right location. Kiwi plants require full sun and appreciate some afternoon shade in hot locations. They also need decently rich soil, regular water and good drainage. 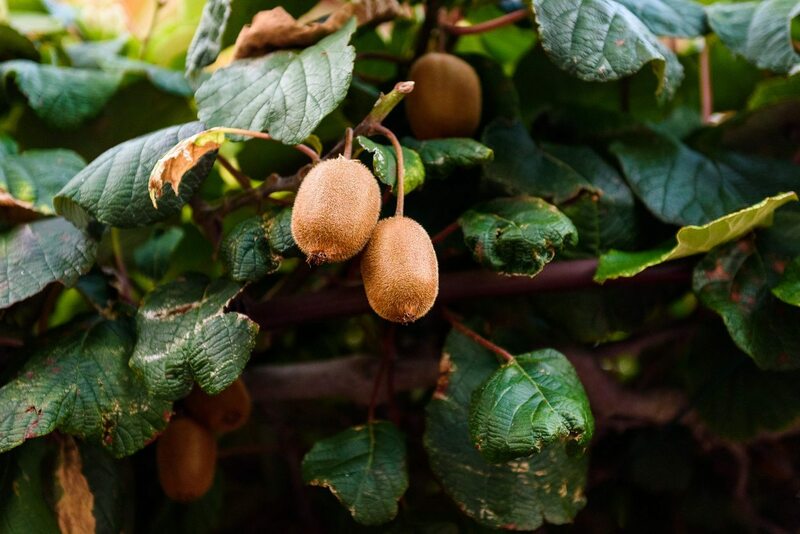 If your kiwi is not blooming, it may be due to insufficient sunlight, overly dry soil, water-logged soil or insufficient nutrients in the soil. 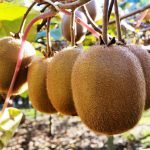 Amend these situations if your kiwi is not blooming by adding yearly compost, adjusting your irrigation, or if you have to, transplanting your vine to a sunnier location. Good luck growing your kiwi vines. They are beautiful plants and their fruit is worth the wait.